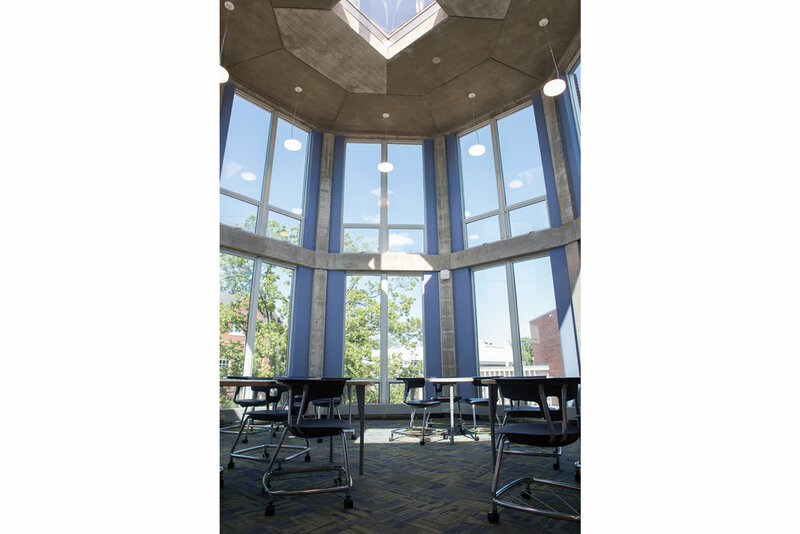 Wheeler School – Upper School Library — Ed Wojcik Architect Ltd. 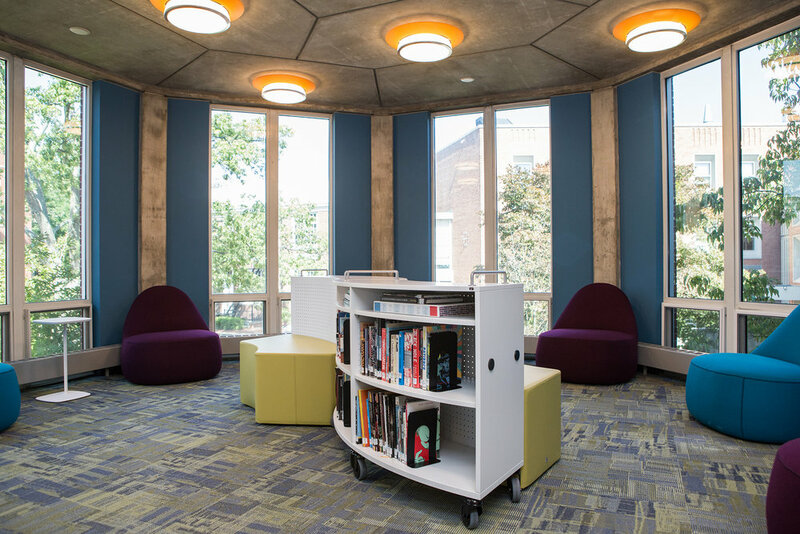 The primary objective of the renovation of Floors 2 & 3 of the Prescott Library at the Wheeler School was to transform the existing traditional library into a Library Commons to meet the needs of students today. It was crucial to provide a variety of spaces for collaboration, socialization and individualized work. Classroom & Meeting spaces offer plenty of table seating with display monitors for students to present their work while flexible and moveable soft seating are more natural for casual interaction and allow students to create their own spaces. 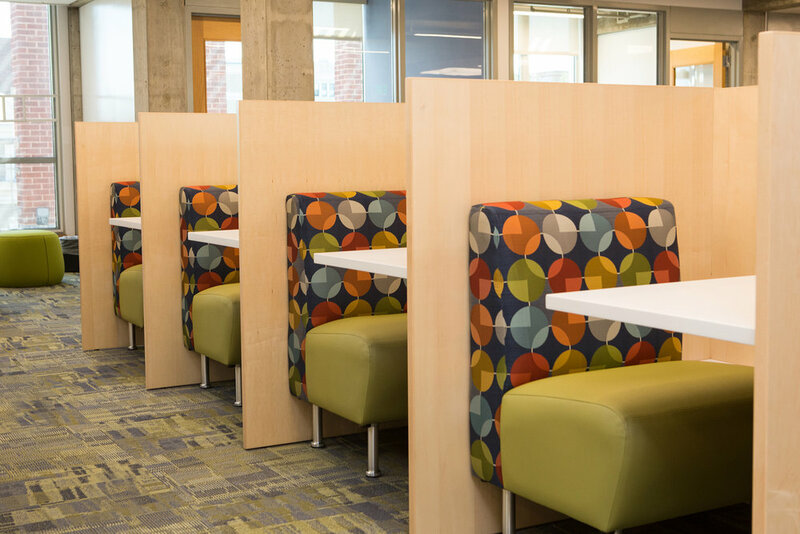 New banquette seating and a technology bar now offer spaces for students to work in small groups and provide power for recharging mobile devices. New study carrels with power were added to offer privacy for individualized study while in a social setting. The result is an attractive space that meets the needs of all students and staff.